Another fabulous Papertrey release is just around the corner, and I *have* to say, there is some pretty amazing stuff this month! A few things to make your holiday gift giving easier, gorgeous holiday stamp sets and even a few sets that are versatile enough that they can be used for Christmas and all year long! This set is a good example of just that! These sweet little songbirds and all of their fabulous detail have a little die-cut banner that they can perch on. Included in the set is a whole collection of little tunes that appropriate for different occasions. Christmas is shown here, but there is also music for birthdays, weddings, thank yous, and even every day blessings! The latest Phrase Play is all about winter and features this intricate snowflake along with a fun banner. Not only will these be fun to use within its frame, but assembling the bits and pieces outside of that will be just as creative! These are also great for quick tags and so much more! I need to win the lottery lol. Song birds are Wonderful ! I love the new phrase play die! This would be so cute for winter cards or Christmas tags. Love, love the cute song birds!! Fabulous!! Love the phrase play!! I don’t think I am ready for Christmas (although all of my Halloween and Thanksgiving cards are done!) I think I may be ready to adopt those super cute birds and musical notes! WOW! Love them both. Can’t wait to see more. Love the music, very cute. Like what I see so far – keep ’em coming!! Of course – Winter Wonderland is a natural fit with the Phrase Play series. How Fun! The songbirds are cute, but the perch banner with the notes makes it all complete! I love the songbirds, so sweet! Oh. That bird set! The Phrase Play snowflake!!! Love them both!! I love the new phrase play!! I really love all your products, have been making a collection of the phrase play sets. They are wonderful! Can’t wait for release day. Love the folksy look of the birds. Looking forward to release. Already LOVE what I see!! I LOVE the beautiful birds and especially LOVE the music staff and lyrics!!!! Imagine the cards and tags you could make from this set!!!! I also love the new word play die!!! Oh, it’s happening again. The tantalizing sneak peeks. They make me crazy. I love the birds. So sweet. The fact that the music can be changed to other occasions is marvelous. I love sets that can be used multiple ways. Love the word play also. oh, dear, birds…my weakness and with music, my 2nd hobby, I’m going to be shopping! Oh My Goodness, the birds and olive branches…love! The birds make my heart sing!!! I love new releases! Love the song birds and the tunes banner. Looks like its going to be another great release. so totally cute.. i love those birds.. got to love this time of year..
Love, Love, Love the songbirds! looking forward to seeing the other tunes. love the music notes and birds. I want them both! Love the music that goes with the birds! I love the new sets – the bird is adorable! I love the holiday sneak peaks and then the final release. So exciting! The songs birds are so beautiful. I can tell another elegant release coming for the holidays. Can’t wait to see all the beautiful projects made with them. I love the beautiful songbirds and am anxiously awaiting release day when the rest of the set is revealed! The songbirds are so adorable, can’t wait to see what the DT does with that set. 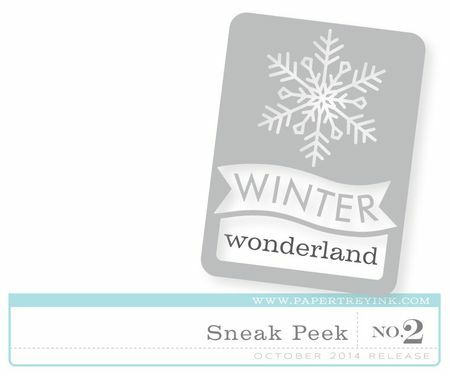 The phrase play “winter wonderland” is a must have ! Those birds are just adorable!! LOVE! 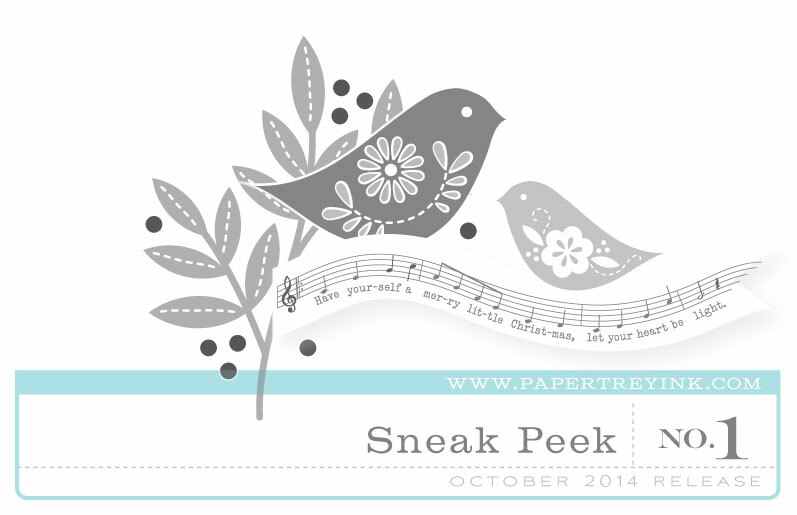 I love the peek of the birdies and can’t wait for the full reveal. What a fun idea for a stamp set! Love the folksy style birds!